Quality, affordable care is what everybody is looking for. That is what we have to offer at Design Dental. When you arrive at our dental office, you can expect to be treated like the VIP you are. You will be treated with consideration, courtesy, respect and receive expert care and a friendly service. We know that there is some level anxiety that accompanies a visit to the dentist and we do our best to alleviate that anxiety by creating a relaxing atmosphere and ensuring that you treatment is free of pain. You can be sure that when you visit the dentist Miller, you will find a team of professionals ready to offer their services. Our dental assistants are fully trained and licensed. Our dentists have also put in numerous training hours as well as work hours over the years and have gained the experience and expertise needed to give you great care. We also do our best to make sure that every procedure is properly explained to you so that you have a clear understanding of the materials and methods used as well as the associated costs. We also make sure to use the latest technology available in the field of dentistry to provide you with the services that you need. Our techniques are modern and the materials we use are the finest in the market. With our own lab on the premises, we are able to quickly fabricate your dentures, bridges and crowns as needed. If you need adjustments made, we can do them right there and repairs as well. When you visit the dentist Miller, you can be sure to get affordable rates. 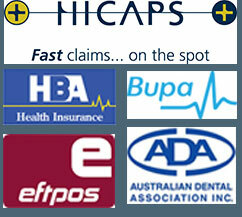 We accept many different insurance plans and should be able to tell you ahead of time if yours is among them. One this is for sure; you will walk away a happy client smiling all the while.